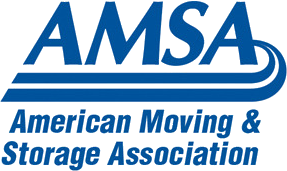 If you want to make the most out of your moving leads...read on. I want to introduce you to a key marketing technique that I’m a huge fan of. 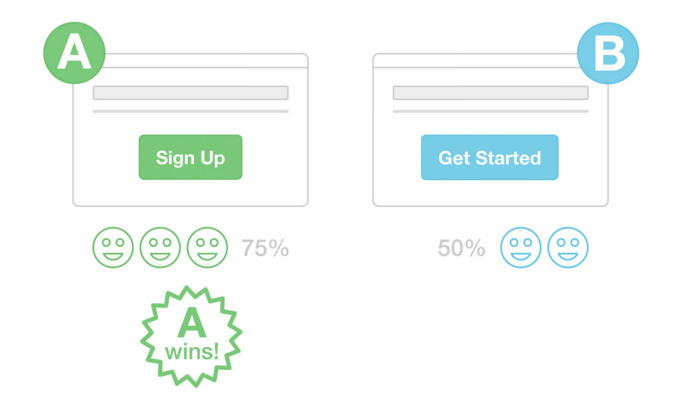 If you haven’t tried A/B Testing, it’s time you took it for a spin. I use A/B Testing all the time to compare different concepts and see what will bring in more business. It’s a chance to make the MOST out of your moving leads, is pretty easy to set up, and the rewards can be major. Simple changes can have astonishing impacts. For example: Changing the color of a “call to action” can boost response by 30-50 percent! But the only way to know...is to test! A/B Testing (also called Split Testing) is a really simple technique to compare elements of a postcard, website, or marketing material to see which one ACTUALLY performs better. It helps you to identify marketing that is more successful at reaching your goal (whatever that is). The key is to test ONE thing and see if you can optimize it. Amount of text (short vs. long). You most often hear about people using this technique to test elements of websites, but A/B Testing actually got it’s start in print and is a great way to optimize that sales & lead funnel! How does A/B Testing Work for Mover Marketing? Ideally you compare very similar postcards (or webpages) and change ONE thing. Then you see which does better in call backs or clicks. You can also compare very different marketing materials to see which gets better results but if you do this, it’s hard to know what SPECIFICALLY improved your returns. If the results are significant then you may have a clear winner and can begin playing with things like different headlines and calls to action to keep optimizing the winning version. If you don’t test your marketing, you’ll never know what is working. You could be using a headline that is actually underperforming. By testing elements, you give yourself the opportunity to increase the ROI of your marketing. Who wouldn’t want to make more business on the same amount of advertising!? Nobody. That’s who. 8 simple tips to create postcard designs that sell has great tips that you can use to test against your current postcard. Here are eight [online] user testing case studies that achieved pretty amazing results. Things you can A/B Test. An infographic. First things first: Identify the goal you are hoping to achieve so you can be strategic about what you test. Is it more hits to your website, more phone calls, more conversions, more likes on Facebook? Get clear on your goal. Focus on the ways you can boost that in your postcard/site/etc. What can you test? For example, you can test your headline to see if “We’ve got your back with our pro movers” does better than “Moving? Trust the best to move your life”. Keep one group of postcards the same (as the control) and change one thing in the second group. Remember, if you’re changing the headline text -- use the same font, color, & imagery. Only test one thing at a time! Make sure you have a way to verify performance. A great way to do that is by having an alternate phone number for the test postcard, or reference a unique code or voucher number. All you have to do is track which one is used the most. Quantity is a big help in determining if differences in “response” are due to chance or a true variation in success rates. Keep that in mind. The larger your “sample” the clearer the impacts (or lack of them) will be. My motto: Test, test, test. Small incremental changes can help you optimize your marketing for supreme impact. And that is pure gold in any business!